I've been having trouble how I will write this one, and since I came home a bit dis-oriented and dehydrated, well I'm sure you don't want to know about it. Honestly, I was excited and truly fascinated, not only with the food tasting but with the whole experience of venturing the North. 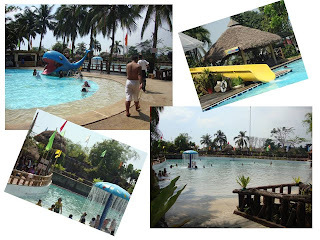 We never really knew that there is an adept place to be explored aside from Avilon Zoo and the Eco park near a dam. You see we were invited for a food tasting, unaware of the place and the caterer, we confirmed since we were on a look-out for a suitable place to hold our daughter's seventh birthday. Why do we have to go overboard on such a birthday party? Dana, our third child has been diagnosed for over a year already with Diabetes Mellitus. We would celebrate birthdays and other special occasions upon our kids requests and usually we would celebrate out of town on beaches or resorts. But this time since she is turning seven, she is becoming more bold and growing having a good sense of being in spite of her sickness. It is not only to reward her for being courageous (specially in times of insulin injection) but also to reward the whole family on being united in times of deepest troubles. I'll be giving updates on our quest for giving out a blast of a party on a minimal budget! Oh and by the way, the princess-themed party will be on May 7. I guess the pictures above says for itself. 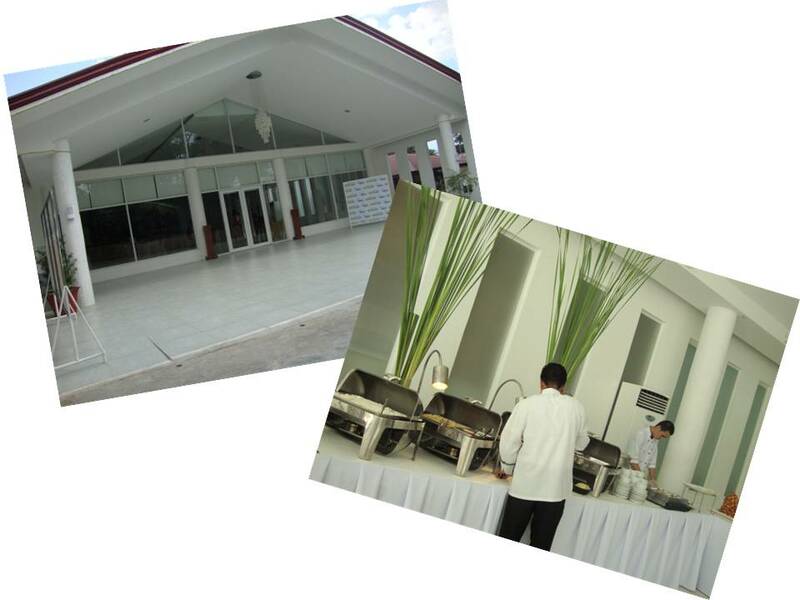 The Pergola Hall, inside Ciudad Christhia Resort is a perfect spot to share precious rejoicing with families and friends. If I would be married again, I would definitely have it here, if not on the beach. 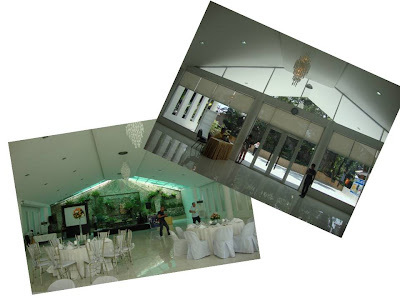 It can accommodate 150 and more people, the hall is wide and has an elevated stage with waterfalls on the backdrop. The architecture is chic and modernistic, however with white as a contemporary background, you can never go wrong on how you want to design the place, you can have it arranged with their account executives. They have spectacular packages that will surely suit with your dream wedding and in our case a very special birthday within your budget. 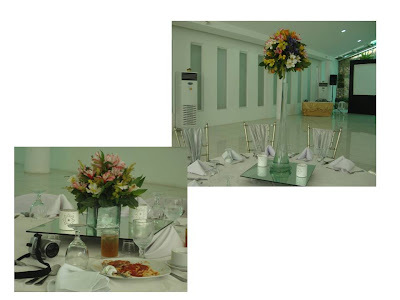 Their staffs will graciously discuss with you every detail of packages such as the Calla Lily, Zinnia and Daffodil for weddings and the Rose, Daisy and Sunflower for birthdays, debuts and other corporate events. If you want a hassle-free yet unadulterated party these are the people you need to talk to! Events as such demands a catering that is expert in pandering the invitees palate. Kusina ni Kambal have served a lot of occasions since 1988 and have been taking pride in its quality food, which is personalized and professional in service in simple but elegant set up. The buffet in my preference should not be overpowered by ornaments, the food should be the main element, its odour, the play of color in the dish itself, and most of all the taste! Here are a few on their menu that we were able to savour. No side stepping to experiencing this one. As an added attraction to our visit, we were able to tour the whole resort, which have been running for almost 20 years already. Imagine that! Their amenities include a kiddie pool, wave pool, pool with double loop slide and a jacuzzi at a minimal rate of Php300 for adults and Php 275. You can occupy a room from their inn or a cottage for a farm feel. 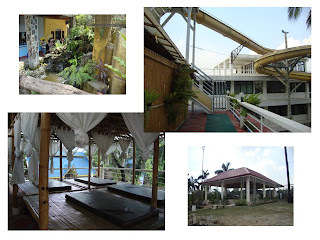 Nipa huts are all over for rent at very affordable ranging from Php 500 to Php 6,000. For a more rejuvinating experience, you can have a body massage at the roof top. Another fun way to share with your family. Looking forward for a wholesome adventure with my family and church mates here at 9 Waves. Another thing I need not miss is their upcoming feature for team-building. A special package will go with this. So better check out for future write ups on our family adventures. wow! I've heard of this place before but never have i been there, I'll definitely check this place out. Tnx Joy! 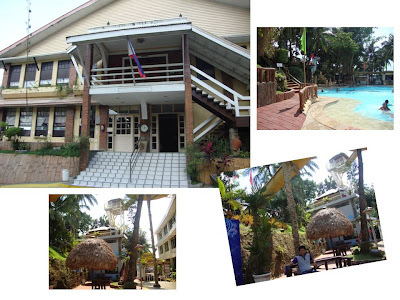 This place is great for party, team-building and other family events! @ Shaney...no problem. you better do so, the place is top rate! maganda talaga, m sure you will enjoy it there!